Photoshop comes with various sharpening filters built in. But why is the High Pass method a more preferred tool compared to the new Smart Sharpen feature that provides similar results? 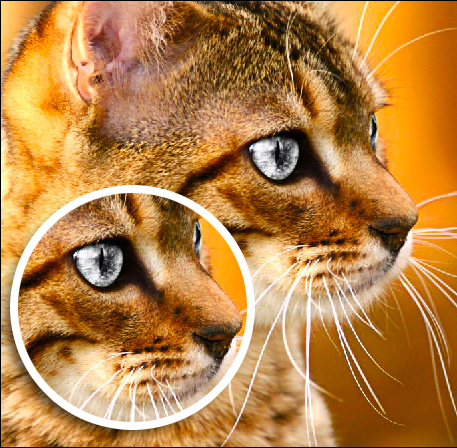 The answer lies in the low-detail sharpening layer that you can turn on or off and the ability to adjust the opacity and strength according to your preference! This is how it’s done. Please remember that you may click on any of the images below to view a bigger image! Select and open an image. As seen here, the color looks OK but much more can be improve in terms of its sharpness. Duplicate the current image layer by pressing CTRL+J/CMD+J or by dragging the original image/background to the “Create a new layer” button below. The High Pass filter picks out areas of tonal changes in the image. The only adjustment needed to be done here is the Radius value. This works in the same way as the Radius setting in the Unsharp Mask filter. The High Pass filter will produce a gray image with fine details from darker or lighter tone. Now, change the blend mode of this layer to Overlay. Zoom in to 100% and see if the sharpening effect is to your liking. If the sharpening effect is too strong, reduce the Opacity level to 80% or to whichever level deem suitable for your project. Select Background and Layer 1 and go to Flatten Image. You should see the end result as the image below here. The image should now have better defined lines and a sharper appearance. Что делать, если ваши загруженные фотографии были отклонены?